Thank you for all your submissions for the Acton Open Exhibition. So far I've received a variety of work from 21 local artists and more to be counted! The selection panel met this evening and we've selected as much as we can. There are more submissions we need to filter through, so all artists will be informed no later than Friday morning about their submissions. Thank you for spreading the word about this exhibition and we look forward to getting everything up and ready for next Fridays opening! 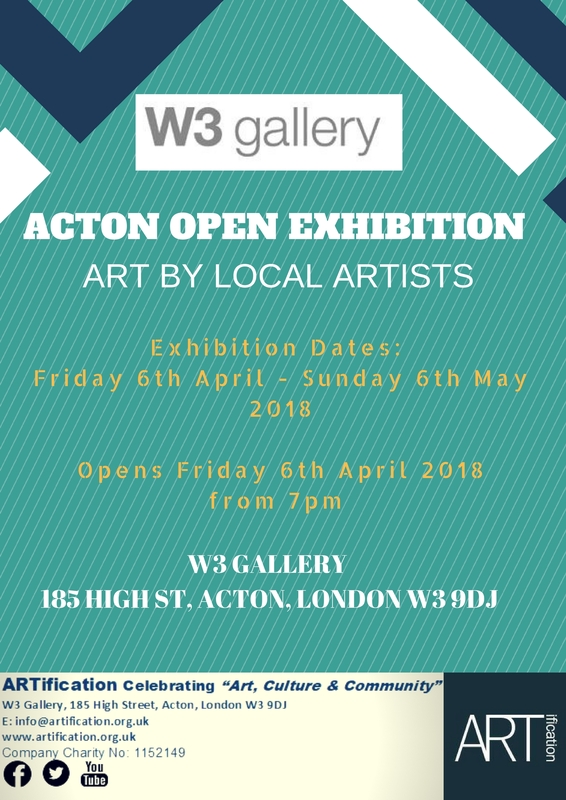 DON'T FORGET for those artists that have been successful, artwork drop off dates are Saturday 31st March or Tuesday 3rd April 10am - 3pm at the W3 Gallery (185 high st. Acton, W3 9DJ). All updates about the exhibition will be posted soon.